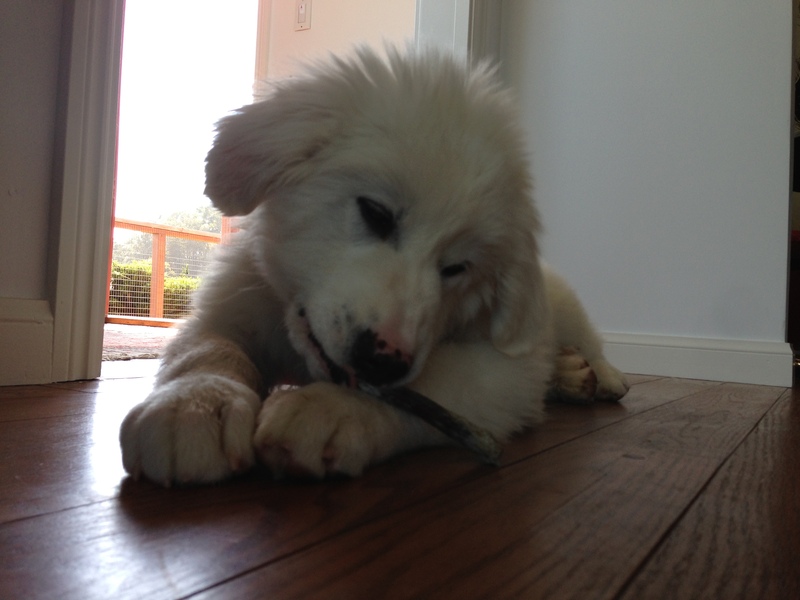 Today the fine folks at Great Pyrenees Rescue of Northern California placed Nemo in my family. Happily filling the Calliope-sized hole in my heart with this very large, extremely joyful young guy. Sometime in early January an abandoned Great Pyr gave birth to a litter of seven. They were found a few days later and made their way to GPRNC. A few of them, Nemo included, got extremely ill and had to be nursed back to health. A good friend of mine recently adopted an adult from this awesome rescue and shared their story. Knowing my canine situation, she recommended I talk to them. So I spoke with Debi at GPRNC! We determined that a Great Pyrenees was right for me and that there might be one in the litter who was a personality match. I drove out to Placerville as soon as I could! Naturally, I fell in love with the puppy in two seconds flat. I was also super impressed with the dog rescue. Debi and Randy Carpadus do an amazing job. Their lives revolve around these animals, and in the few weeks I've been watching they've rescued and placed a number of dogs in great homes. Their work is endless but you can hear, in every word, how much they love each dog they help. They are also joined by a very large and dedicated team of volunteers, its quite amazing! In a stroke of awesome serendipity the young guy just happens to be named Nemo, which is what I would have named him! Nemo has long been my favorite name for a boy dog! (I've only had one other boy dog, Carter, who was named in response to a brother-in-law's awesome pup Reagan.) I think my new pal and I are going to watch 20,000 Leagues Under the Sea tonight. Nemo is fantastic. He's settled in, in a matter of hours, treating the place as if he's always been here. His tail never stops wagging. He wants to be pet. He's quietly entertaining himself, chewing away at a bone as I type this, stopping every few moments and looking up to see if I want to play. 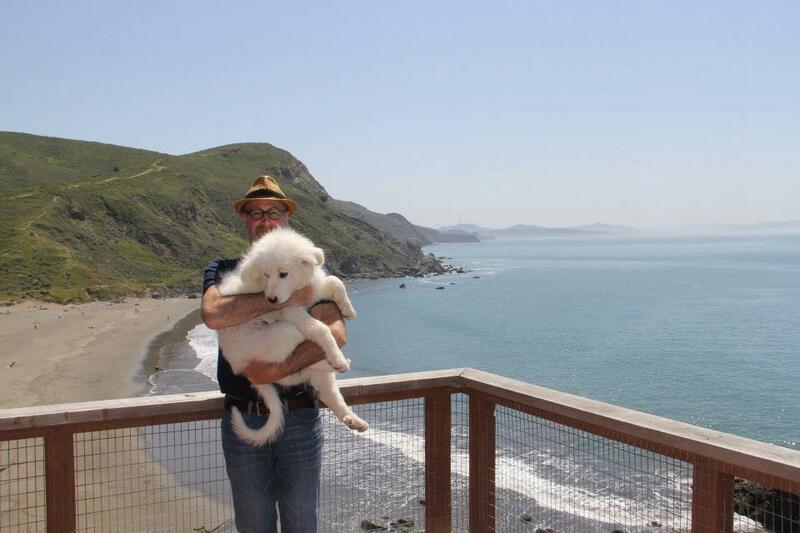 Thanks again to everyone at the Great Pyrenees Rescue of Northern California and my good friend Nadine!